While the ancient texts of Roman and Greek authors are still well-known and read today, few outside of those who study Egyptology have ever read the works of ancient Egyptian writers. But now, for the first time, some of the hieroglyphic writings from ancient Egypt are available in English translation for the general reader, according to Smithsonian magazine (as The Guardian previously reported). 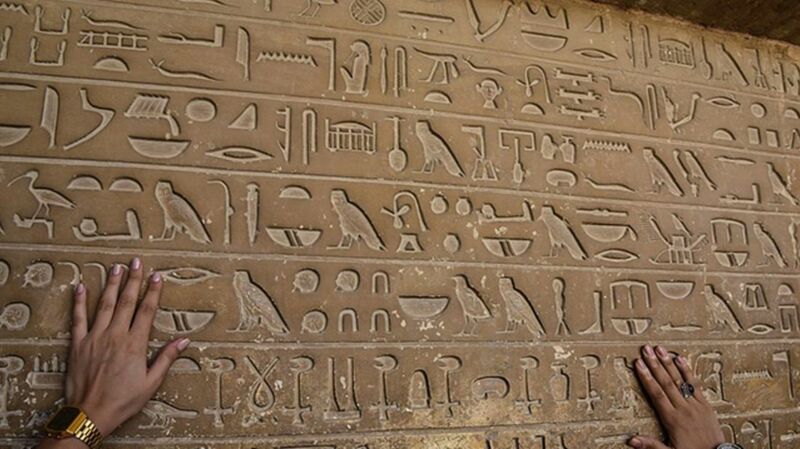 Ancient Egyptian hieroglyphics are treated less as pieces of writing than as decoration even by museums. While exhibits on ancient Egypt often include explanations of the hieroglyphic writing system, few actually translate what is inscribed on the walls and caskets on display. The Egyptian Book of the Dead, an ancient funeral text, has been translated into various modern languages for more than a century, but those writings are ceremonial, not literary. There is no Egyptian counterpart to ancient Greek and Roman writers like Homer, Ovid, and Sappho that modern readers have had access to, who describe life outside of religious ceremony. Translator Toby Wilkinson hopes to make ancient Egyptian literary tradition (people wrote in hieroglyphics for almost 3500 years) more widely known outside of scholarship. The stories in the new anthology, Writings from Ancient Egypt, include songs, satire, short stories about shipwrecks and a magical island, letters from a farmer to his family, historical accounts of battles and disasters, and more. The book, published by Penguin, is now available in the UK, and will be published in the U.S. in 2017.